True Araucanas and Silkes. 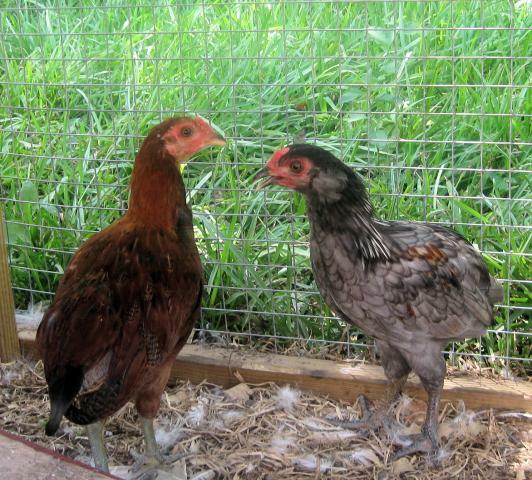 Roos or Hens? Discussion in 'What Breed Or Gender is This?' started by astylishgirl, Aug 7, 2009. 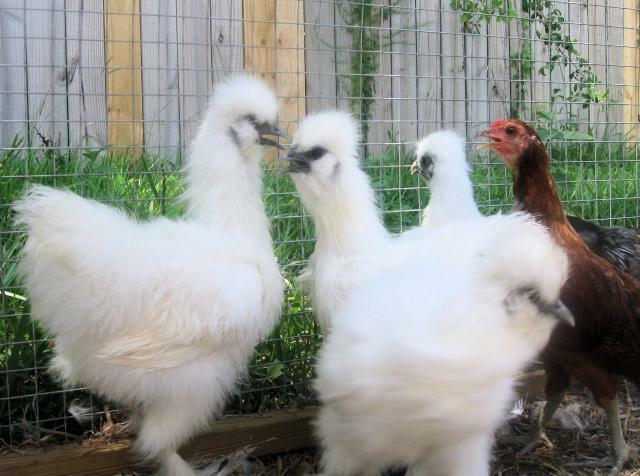 My Silkie girls never did get any comb-like growth at all... 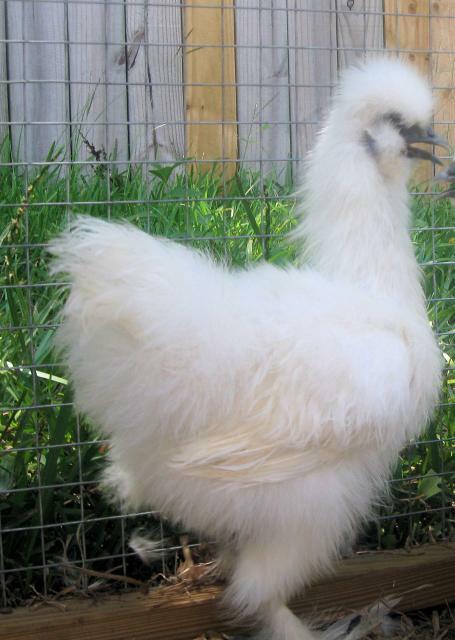 I see some walnut combs beginning on those Silkies... Anyone else venture to guess? the only way I knew was looking head on at my boy - he began to grow that purple comb... and a few weeks later, he crowed. 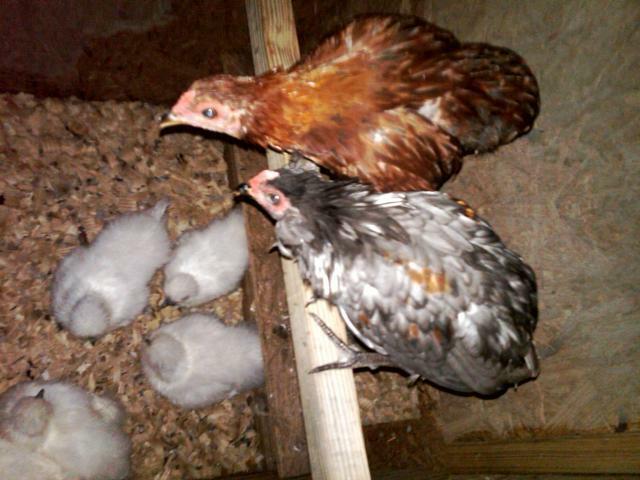 My pullet never had any growth like that, and since then, I brought home a two month old Silkie as a companion. This one too, has nothing resembling a comb between her eyes so I'm real darn sure it's a girl too. I've got no idea on the silkies, but the others are cockerals. Great! I was hoping the Araucanas were boys. 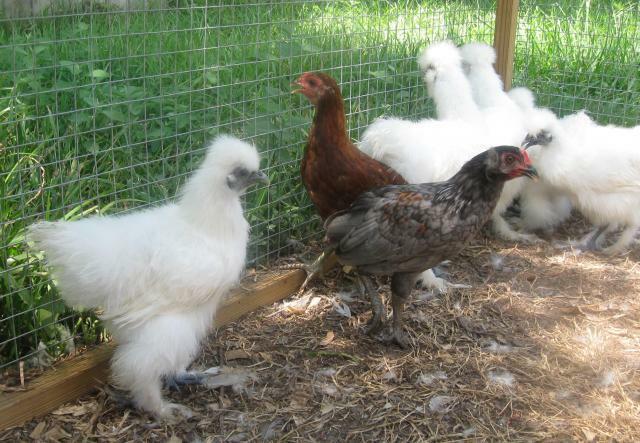 But I was hoping for pullets with the Silkies... but they all look sort of Rooish to me. Darn. 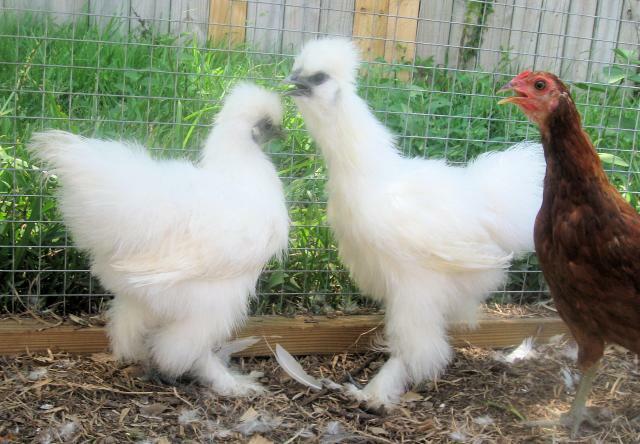 I may be rehoming some Silkies. 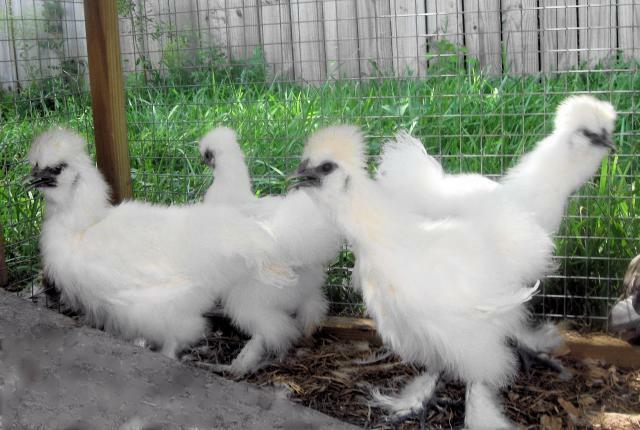 I need some white Silkie pullets!